I would like to set up an appointment with one of your wedding specialists to tour the property. When can we meet and how much time should I allow for the meeting? We are available for tours every day from 9:00 a.m. to 5:00 p.m. Depending on the property being shown, tours can range from 30 minutes to one hour. May we bring our own caterer? Léal Vineyards Inc. must provide all catering services. May I use my own florist? All floral must be provided by our brand partner, Deluxe+Design+Decor. May I use my own DJ? All DJ and MC services must be provided by Léal Vineyards Inc.
Do you allow bands to play at receptions? Léal Vineyards Inc. allows live entertainment in accordance with the county noise regulations. Please contact your wedding coordinator or management for more information on restrictions. Additional ceremony music is allowed. May I use my own wedding coordinator? All wedding coordinator services must be provided by Léal Vineyards Inc.
Can I bring in my own linens? Do you recommend any hotels in the area? Yes, we have a list of hotels on our Recommended Vendor List. Please inquire with your wedding coordinator. Yes, we keep strong relations with our selected and qualified professionals. These vendors have met all of our high standards and have knowledge of what works well pertaining to our Léal Vineyards Inc. portfolio. Léal Vineyard's Barrel Room can accommodate up to 250 and the Lavánda at Léal Vineyards can accommodate up to 300. The Willow Heights Mansion can accommodate up to 250. Sycamore Creek Vineyards can accommodate up to 200 guests. Granada can accommodate up to 250 and the Barn can accommodate up to 130. How many hours are included in our event time? Up to 6 hours (4:00 p.m. to 10:00 p.m.) of event time and an additional hour for guests to clear the property. Can we extend our event time? Do you require a food and beverage minimum? No, but we do have a minimum guest count. Fridays and Sunday weddings require 100 or more adults and Saturdays require 150. Do you have a facility fee? Yes. The facility fee varies depending on the venue and wedding date. What is included in your Facility Fee? Seven hours of event time, the ceremony area, white resin ceremony chairs, cocktail tables, Chiavari reception chairs, tables, flatware, glassware, event staff, bar and buffet setup, and umbrellas/heaters if needed. Do you have spaces suitable for a rehearsal dinner? Yes, please inquire with your coordinator for more information on our packages and venue options. How soon may I reserve my wedding date? We are pleased to book your wedding a full 18 months in advance of your selected date. Can I place a date on hold? We offer a five-day complimentary hold on all available dates. What do I have to do to secure a date? The original signed contract and non-refundable $5,000 initial payment is due. You have the right to cancel the contract within three days of signing for a full refund of your initial payment. This cancellation must be received in writing and acknowledged by the General Manager of Léal Vineyards Inc. After three (3) days have passed, Léal Vineyards Inc. will retain all non-refundable payments which include the initial payment, food & beverage and facility fee regardless of whether or not you cancel your wedding. Outside of those three (3) days, NO REFUNDS will be given. Leal Vineyards has a strict no-refund policy for cancelled weddings. Cancellation insurance is available through Cover My Events and Léal Vineyards Inc. encourages all clients to purchase this product to protect themselves. Will there be more than one wedding taking place at the same time? Léal Vineyards Estate is designed to accommodate simultaneous events at different locations. While it is a rare occurrence, wedding couples will be notified in a timely matter. All Léal Vineyards Inc. properties are handicap accessible. Do you require security services? We do not require security, however, outside security services can be arranged by wedding couples. Yes, please inquire with your coordinator for more information. Bridal rooms vary between properties. No, but we allow the use of an outside vendor for valet services. Do I need wedding/event insurance? We do not provide childcare services, however, outside childcare services can be arranged by wedding couples. May we have wish lanterns, fireworks or sparklers? Due to safety code, we do not allow any wish lanterns, fireworks or sparklers. What items are not allowed at any Léal Vineyards Inc. property? We do not allow sparklers, bird seed, rice, confetti or fake flowers or rose petals. Are there any restrictions if a guest needs to leave their vehicle over night? Léal Vineyards Inc. does not promote drinking and driving and will not tow any vehicles left on property overnight. All vehicles left on property must be picked up by 12:00 p.m. the next day. What types of catering services do you offer? Léal Vineyards Inc. offers buffet, family style and plated options. 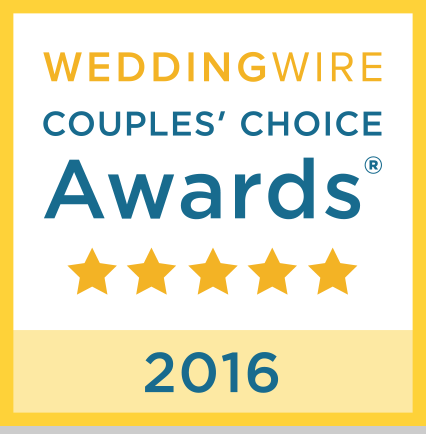 How do we select our wedding menu options? Based upon your catering package selected, you will be provided with various menu options. Can we choose more than two proteins? Yes, with an additional charge depending on which entrée you would like to add. Can you accommodate any health or dietary restrictions? Do you have different prices for children's meals? We offer meals for children under the age of 10 at $25 per child plus tax and service charge. This meal includes chicken nuggets, mac and cheese and seasonal fruit. The bride and groom will be provided with a complimentary food, dessert, and wine tasting. Any additional guests will be subject to a $50 per person fee, which will be applied to the wedding invoice. Tastings are scheduled one Wednesday per month from 5:00 p.m. to 8:00 p.m. for the following months: January, February, March, April, May, and November. Tasting months are subject to change from year to year. You will finalize your menu selection with your wedding coordinator at your 30-day final appointment. Are we required to host a beverage package? All weddings are required to host the minimum of beer, wine and champagne package. Do I have to host a full bar to have liquor available for my guests? Léal Vineyards Inc. has a full liquor license therefore full bar services are available in addition to beer, wine and champagne. May we bring in our own wine, beer or liquor? Due to licensing, no outside alcohol is allowed. What types of draft beer do you offer? The house beers offered by Léal Vineyard Inc. are Stella Artois, Coors Light, Blue Moon, Lagunitas IPA and Modelo Especial. Do you offer other draft beer options? Special draft beer requests are available at an additional cost. Yes, they are included in the purchase of your catering package. We provide iced tea, water, sodas, coffee and juices. Can we make arrangements for our marriage license and our officiant through Léal Vineyards Inc.? 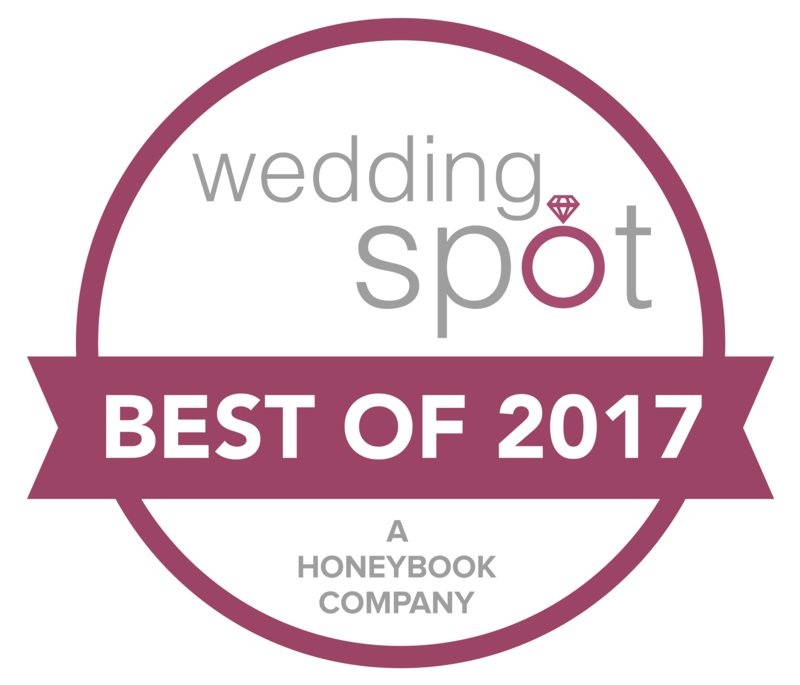 Our Recommended Vendor List offers a list of officiants we have enjoyed working with over the years. Acquiring a marriage license is your responsibility but may be a service offered by your officiant. What are the duties of the wedding coordinator? Our wedding coordinators offer concierge services and are available to assist you in the finer details of your planning process. May we provide our own favors, menus, personalized signage, etc.? You are welcome to bring in any favors, menus or extra personal décor to add your own special touch. Is someone able to set out the place cards and favors? Yes, your wedding coordinator will take care of setting up all of your personal items that are brought in. Do you have extra tables for gifts, welcome table, etc.? Yes, we have 6-foot and 8-foot tables available at no additional cost. May we have a ceremony without a reception? Our ceremony sites are reserved for couples having receptions on property. May we have an off-site ceremony? Off-site ceremonies are allowed but do not affect the facility fee. What is the suggested time for a ceremony to begin? The ceremony may begin any time between 3:00 p.m. and 4:00 p.m.
Do you have a backup plan if it rains? Yes, each property has a designated plan. Do you provide the chairs at the ceremony? Yes, we do provide white resin chairs. May we include our pets in the wedding ceremony? We are happy to include your furry friends; however, there are guidelines that we will share with you during the planning process. Is it possible to have a rehearsal for the ceremony? Yes, Léal Vineyards Inc. provides a rehearsal one or two days before the wedding based on the availability of the property. Do you provide a dance floor? No, we use the existing floor at all properties. Do you offer a head table or a sweetheart table? Yes, we provide both options based on your preference. What types of reception seating do you offer? We offer round tables and King Arthur-style seating. Our 60 inch rounds provide seating for 6–10 guests while our 72-inch rounds provide seating for 8–12. King Arthur-style seating is customizable based on guest count. Is there a fee for bartenders and event staff? Bartender and event staff fees are included in the facility fee. Do you allow outside cakes and desserts? Yes, for an additional cost. We require a cake cutting fee of $3.00 per person and dessert fee of $1.00 per person. There is no cake cutting fee with the use of our Pastry Chef. What are the fees for parking? There are no parking fees associated with any of our properties. Yes, Léal Vineyards Inc. requires a $1,000 refundable deposit for any damages or possible outstanding bar bills due 3 months prior to the wedding.